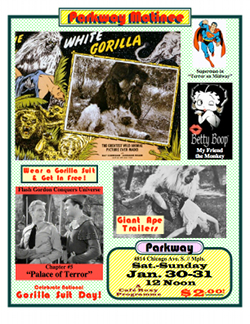 Festival Films catalog of public domain action, comedy, horror, war, science-fiction, cartoons, serials, Black heritage, 1950s TV and more. Festival Films has been in business for over 35 years and has acquired thousands of public domain films and TV shows. We constantly add titles and update quality with new film to video transfers. Films are sold on DVD-R and Mpeg2 digital formats. Click on the Cafe Roxy Sign for "Variety Programs" with features, shorts and cartoons! Click on Lost & Rare for exclusive rare films! Classic Television Series in the public domain. TV shows are listed by episode titles and grouped in the volumes for sale on DVD-R.
Mpeg2 TV shows can be selected individually by episode title. This PDF Catalog has not been updated in 5 years, so it is certainly NOT COMPLETE. Please continue to browse the genre selections above for recent releases. However, this PDF separates the color films from black and white for those looking for more COLOR. Click here to get the "Nearly Complete" PDF Catalog! All titles in the Public Domain Catalog (above) are also available on top-quality, economical DVD-R format as well as Mpeg2 Video Files for Internet streaming. Many TV stations use DVD-R for their broadcasts. We supply Cafe Roxy Programs on DVD-R because most movie theaters and other venues have DVD projection or large screen TVs in place. DVD-R Prices start at $30 for a feature film, 4 half-hour TV shows or a Cafe Roxy program, with discounts for volume purchases. See our Pricing Page. DVDs come with a statement as to why each film or films are in the public domain. A free DVD sampler disc is available on request. Whenever possible the videos have been transferred from 35mm film for maximum quality. Some serials and TV shows were transferred from 16mm originals. These are often the same masters broadcast by TCM and other cable channels who show older classics, and in some cases our masters are better quality. Quality is guaranteed. Any film found to be inferior may be exchanged for another title. Some films because of their age or rarity are simply not available in perfect condition. Whenever better material turns up, we upgrade our masters. There are no company logos or watermarks over the picture, and none of those scary FBI Warnings that do not apply to public domain films. The PD Catalog contains mostly American films made before 1964. These carefully researched films have been considered to be in the public domain in the USA for many years. Why is a film in the public domain? Study all about it in this Copyright Discussion. Briefly, films fall into the public domain because they were never properly registered with the Library of Congress in the first place or were not renewed as required by the prevailing copyright laws at the time. Each film comes with a specific statement as to why it is in the public domain! So no royalties and no fears. 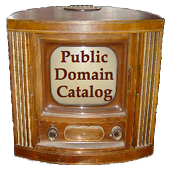 Public Domain Films may be broadcast on cable TV, on the Internet, duplicated freely, sold on DVD, used for stock footage in various projects and shown to audiences everywhere!